Myanmar Business Executive Association (MBE) is started as like-minded friends of MBA program gathered as “Knowledge Knights” book club members in 2005. 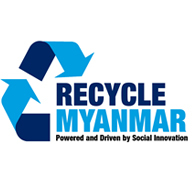 It is an NGO, a nonprofit and a social enterprise, with 123 members and a network of more than 2000 responsible entrepreneurs and executives, with the mission to promote sustainable business development in Myanmar. Our activities include responsible business development activities, social development programs and education programs, collaborating with local and international organizations and firms. We are an advocate for deep corporate social responsibility, for a new way of thinking business. Myanmar Young Entrepreneurs Association (MYEA) was opened in 2009 as a Group. Later, in 2012, was formed as a team. The past couple of years since 2011 MYEA gradually people become a learning organization. 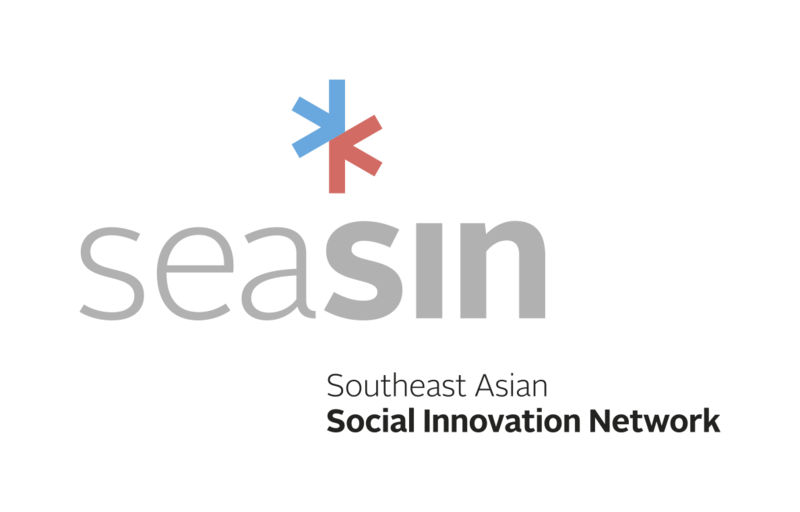 It is a non-profit organization that aims to empower Myanmar Entrepreneurs in creating a robust, start-up community in the country. The main objective of MYEA is to empower young entrepreneurs and assist in creating a vibrant entrepreneurship ecosystem in Myanmar. It organized and participated in numerous events and activities with a variety of organizations both locally as well as internationally. It designed especially for the Private Sector Development Policy. In addition, Economic Policy, Entrepreneurship Policy sections having to negotiate with the government and then off. The MWEA was born out of a need for women in business to be able to draw upon a network of supportive and understanding people when developing and growing their businesses. The MWEA is a woman led organization and thus is particularly aware of the understanding of the issues that women in business face. The MWEA has several social entrepreneurs as members, and so they are working to better understand social enterprise. A remark by respondent on SE sector in Myanmar during KII is as followed. Rather than mainly focusing on selling a virtue of their social activities and stories, social entrepreneurs should focus more on selling a high quality product or services in order to sustain the business. At present, however, the MWEA is still unsure as to what social enterprise is and has at times, includes CSR programs into their definition of social enterprise. The MWEA could benefit from a more focused understanding of social enterprise. We began in 2012 with the idea that as the country began to open up, an opportunity existed for women in Myanmar to become more empowered through skills training and education. We knew something about women – being business women, mothers, daughters, wives. Fortunately, the founders collectively had experiences and training that covered business operations, women and child development, restaurant/food experiences, and in-country understanding. Strong women make a strong community. Our apprentice program, internships & team culture places a premium on women being economically empowered, educated and active in society. We started the Bakehouse to meet an identified need: to empower women in the greater Myanmar economic and social communities. By providing our apprentices opportunities to gain life and work skills, they gain dignity and confidence to move into the workforce as employees and small business owners. Our women commit, receive a fair wage salary and benefits and work hard to change their lives. The Third Story Project, a collaborative effort between the Myanmar Storytellers and the Benevolent Youth Association (Yangon), creates and produces children’s books in Burmese and other Myanmar languages to distribute free of charge to children around Myanmar. The stories are written and illustrated by Myanmar artists for a Myanmar audience and address issues of peace, tolerance, diversity, gender, environment and child rights. The objectives of Third Story are to supply entertaining and educational children’s literature to those with the least access, to create educational materials that address important issues, to provide an opportunity for sharing cultures across religious and ethnic divides to create better understanding of our communities, and to foster a new generation of Myanmar authors and illustrators. The Third Story Project has distributed over 182,000 books free of charge to children in cities and villages throughout Myanmar. We work with many local volunteer organizations to distribute books in every division and state in Myanmar. The organizations deliver the books directly to children and use storytelling to engage the kids in a dialogue about important issues. We also offer storyteller trainings to community leaders, teachers, volunteers and religious leaders so they can use storytelling in their work to better connect with the people they serve. Additionally, we work with young students to educate them about child rights and storytelling. We coach teens on how to create their own stories, offering them an outlet to express themselves in a constructive way. We are a non-profit social enterprise, registered as a business and publisher in Myanmar. All proceeds go directly back to the project to create more entertaining books to deliver to little people’s hands. The Third Story Project sells books to major international organizations, local volunteer groups, to parents and to everyone else who loves a great story. As well as delivered certificates courses which were relate with Business & Management, Marketing, HR, Sales and Distribution, Logistic Management and Retail Management. Starting from 2014 jointly delivered Business Management Higher Diploma & Business Management Advanced Diploma with Co-operative University, Thanlyin. 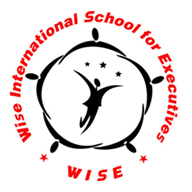 Now WISE College delivers MBA, PhD in Business Administration from European Global School (PARIS). WISE College also delivers Young Leader Development Programs for youths from Myanmar. This program is 100% scholar program and which is aimed for developing leadership sprit in youths of Myanmar. 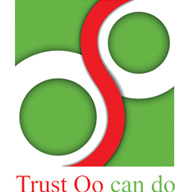 Trust Oo Group is a social enterprise primarily to implement m-health initiatives systematically in Myanmar. Our vision is to become a leading provider of remote medical assistance via mobile devices for every citizen throughout Myanmar. This digitally-delivered healthcare will make use of a world-class health-specific phone service. We intended to contribute towards the goal of uplifting the health status of Myanmar by delivering effective and consistent healthcare information and expert advice, and/or timely referral to recommended healthcare units. • To help to keep the environments clean by using right way of dumping. • To raise funds by means of benefiting the society someway. • To enforce the child rights. 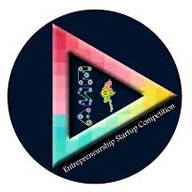 ESC Myanmar is the very first “Entrepreneurship Startup Competition” held in Myanmar and is organized by the effort of various enthusiastic youths (age 17 to 35) from different fields since 2016. We are doing activities as the competitions, training; consulting related with entrepreneurship and SME developments, these can provide certain parts of developments in the country by supporting the innovations of the local entrepreneurs. 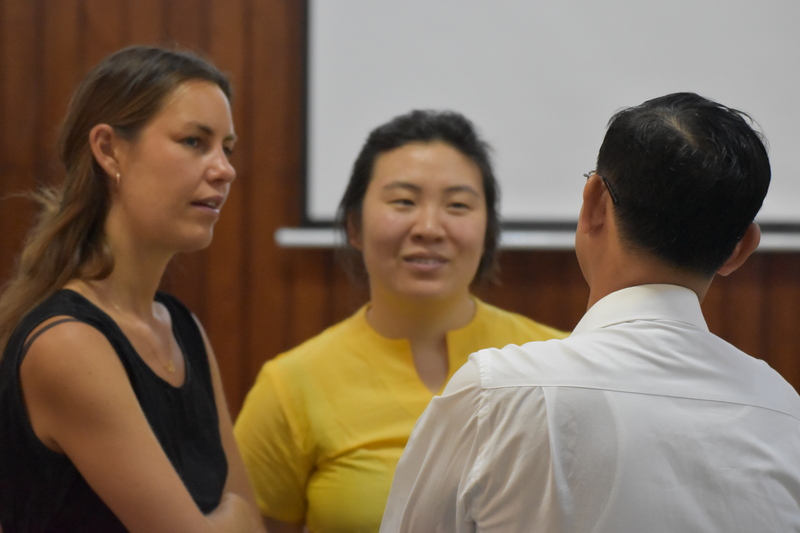 ESC Myanmar is not only a social enterprise program which encourages the creative ideas of entrepreneurs but also supports as the angle of the space for the development of country. Our Vision is to emerge individuals with entrepreneur minds who are innovative, aspiring, and aim to promote the economy, technology, health and humanitarianism in Myanmar. Our mission is to support as a part in the development of our country by helping to improve standardized entrepreneurship businesses. Oriental Century Travel & Tours is one of the best tour operators in Myanmar, providing Leisure and MICE travel in Myanmar. We prioritize the value of our customer and try to find out the needs & wants of our customers and provide the most suitable travel arrangement for them. 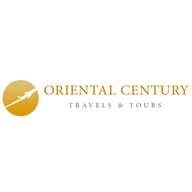 Oriental Century was established in the year 2012 and organized with well known experienced tour operators in Myanmar, sales & reservation members. Holding places people and customs through professional guides, modern transportation, quality hotels, fine restaurants and other key vendors. Locally we are active member of the Union of Myanmar Travel Association (UMTA) and internationally with PATA, ASTA. Our mission is “Delivering the better quality of services and values to our customers and we are people centric, service focus and technology driven. SeDAM, Social Enterprise Development Association Myanmar has been the brainchild of 40 consultants, the alumni group from British Council Social Enterprise Consultancy and Education for Entrepreneurs training who comes from diverse professional backgrounds mainly aiming to assist in the promoting responsible business culture in Myanmar while abetting thematic support to those SMEs that require scalability in order to compete in the fast-paced international business arena. The association was initially established under the close supervision of Prof. Aung Tun Thet, The Board of Directors: Daw Yin Myo Su (Inle Heritage), Dr. Sitt Naing (Marie Stopes International Myanmar), Sai Woone Seng (YOMA Bank) and the Advisory Board: Daw Mi Mi Myo Win (British Council) on 11th November, 2017. 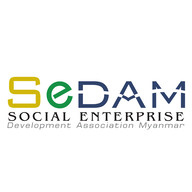 The SeDAM envions to foster the socially responsible culture that deeply rooted among business across Myanmar and while contributing the consultation support aiming for the sustainability of social enterprise and SMEs in general which in return, will abet the sustainable development of the businesses in the country. 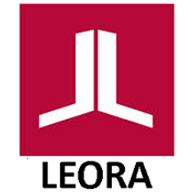 Founded in September 2016, Leora is a social enterprise that aims to bring Enterpreneurial skills to the communities, especially women and youth, in rural area with little or no opportunity. Most women in rural areas have very little skills, confidence and can not work normal working hours which prevents them from finding proper jobs. Leora conduct Life Skill, Handicraft and Business Skill trainings and help these women find confidence, generate income and lead better life. Participants who had completed the trainings could either find the market on their own or work with Leora to market their products. Leora will ensure sustainable business place for these ladies who otherwise would not have an opportunity to have their own income or start their own business. Leora will turns their dreams into reality and create and bring the much needed opportunity to those who really need it. On the onset, the establishment of RIBU was only to act as a one stop reference centre for all the activities stated above. To strengthen activities relating to income generation for UiTM, beginning on 15 March 2017, the Consultancy unit was placed under RIBU and monitored by the Assistant Vice Chancellor ( Research Management and Innovation) UiTM. The Office of Industry, Community, Alumni and Entrepreneurship Network was officially established on 1 January, 2017 comprising two subdivisions namely the Industry, Community and Alumni Office and the Malaysian Academy of SME and Entrepreneurship Development. ICAEN is a new division established based on the earlier structures of University Industry Linkage Centre (UiLC) and Industry, Community and Alumni Network (ICAN). It has been tasked with the responsibility to connect and network UiTM with external stakeholders namely the industry, community, alumni & entrepreneurship fraternity in order to enhance and strengthen the university’s academic relevance and standing. 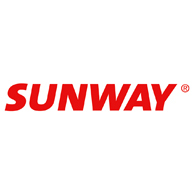 Sunway Group is one of Malaysia’s largest conglomerates pulling together to improve the quality of life of our communities through 12 business divisions – property, construction, retail, hospitality, leisure, healthcare, education, commercial, trading and manufacturing, building materials, quarrying and Real Estate Investment Trust (REIT). Sunway strives to be Asia’s model corporation in sustainable development, innovating to enrich lives for a better tomorrow. 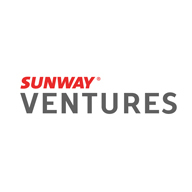 Sunway VenturesSunway Ventures is the venture capital arm of Sunway Group. Impact Hub KLImpact Hub Kuala Lumpur is a catalyst to foster social innovation. We are a global community, innovation lab, and a creative space. We work at the intersection of innovation and society to collaboratively create impact with an entrepreneurial mindset in order to advance the Sustainable Development Goals. PurpoSE MalaysiaPurpoSE Malaysia aims to spur and grow social enterprise practices in Malaysia. Our goal is to venture build high potential and scalable social enterprises that can multiply their impacts as well as provide advocacy role for stakeholders (government and private sector alike) for the benefit of the ecosystem development. 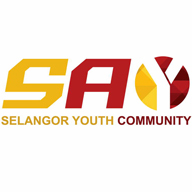 Selangor Youth CommunitySelangor Youth Community also known as SAY Community is a non-profit, non-political and non-governmental organisation that aims to create a community of youth, by youth for youth. Inspired by the Raja Muda of Selangor’s vision for his state to be a vibrant and dynamic youth community, SAY Community aspires to provide an avenue to connect Selangor youth to development opportunities.